I am wearing the costume. 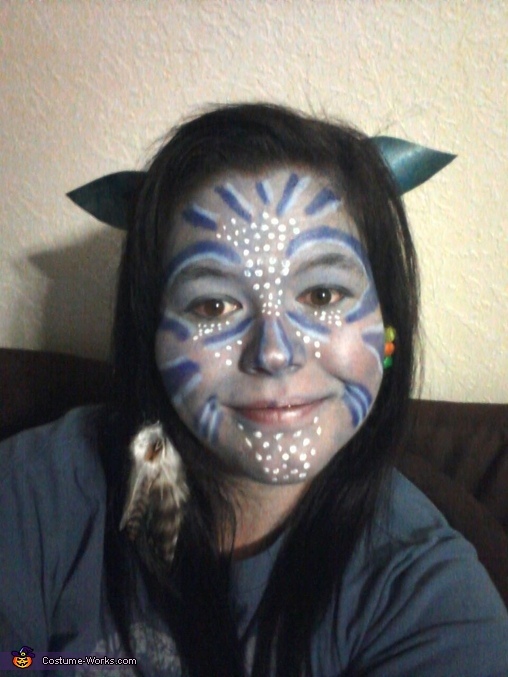 The movie Avatar inspired this costume. I used blue eye shadow to cover my whole face and neck. I used Halloween makeup for all the detail. I made my ears out of cardboard, colored them with colored pencil, and attached them with bobby pins. I used a feather clip on hair barrette and craft beads in my hair. I wore just regular clothes. Tracey has a great imagination for several different avenues. This to me is really really cute.